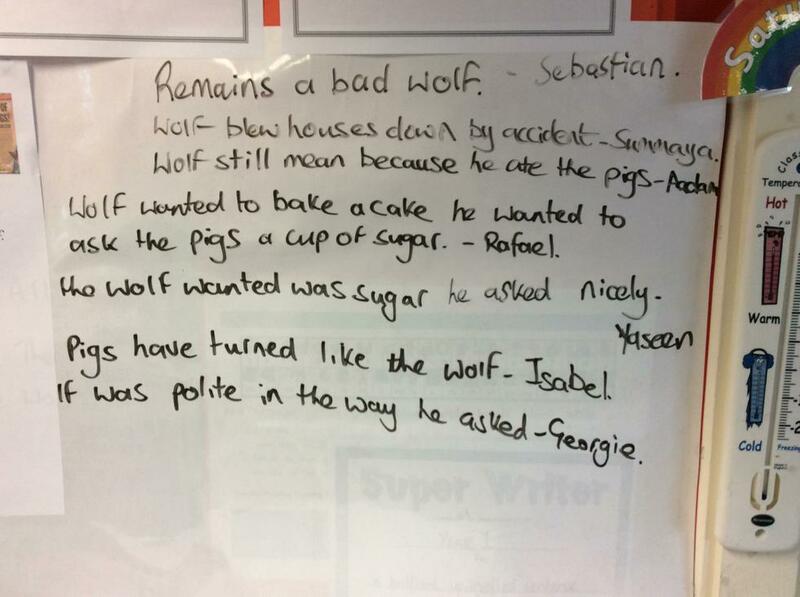 We have been very busy this week in Year One, we have finally discovered a different side to the Big Bad Wolf. We have now decided he is not so bad, but more friendly and kind. 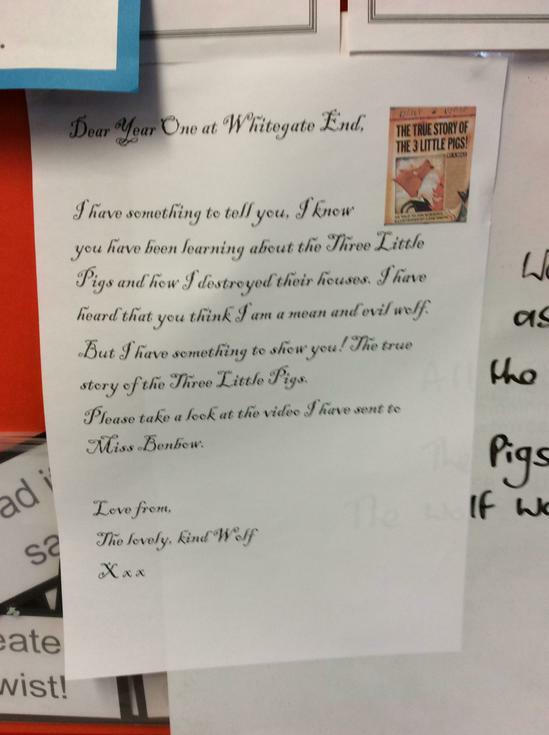 We were sent a short letter from the Wolf explaining that we had misunderstood him and that in fact he had a cold and that was the reason why he had blown down the houses of the Three Little Pigs and left them in our classroom. We then watched 'The True Story of the Three Little Pigs' which told us that the Wolf was making a cake for his Granny and that is why he went to the Pig's houses, to find a cup of sugar. In Maths we have been working really hard with our 2, 5 and 10 times tables and counting on and back to 100! This was very tricky, but we have been resilient and we will keep practicing! Homework this week is based on our 10 times tables and we also have 8 spellings to be learnt ready for the spelling test next Wednesday!